Perfect for your PreK – 5th graders, Mr. Hensworth’s Hibernate is the charming story of a young bear who wonders why his family is so tired throughout the cold winter. 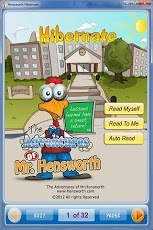 An easy-to-use ebook, Mr. Hensworth’s Hibernate is the perfect balance of stimulating entertainment and motivational education for new readers. 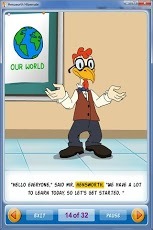 Through audio dictation, Mr. Hensworth and his students will read the book out loud to your young book lover. As a student flips through each stage of evolution, the play/pause style will allow them to work at their own pace—even with interruptions. • Unlimited listening, reading, and learning! 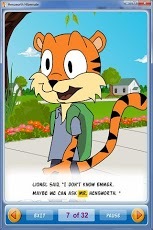 “Lessons Learned Have a Smart Return,” is Mr. Hensworth’s motto, and you’ll see why when your child reads Mr. Hensworth’s Hibernate for the first time.